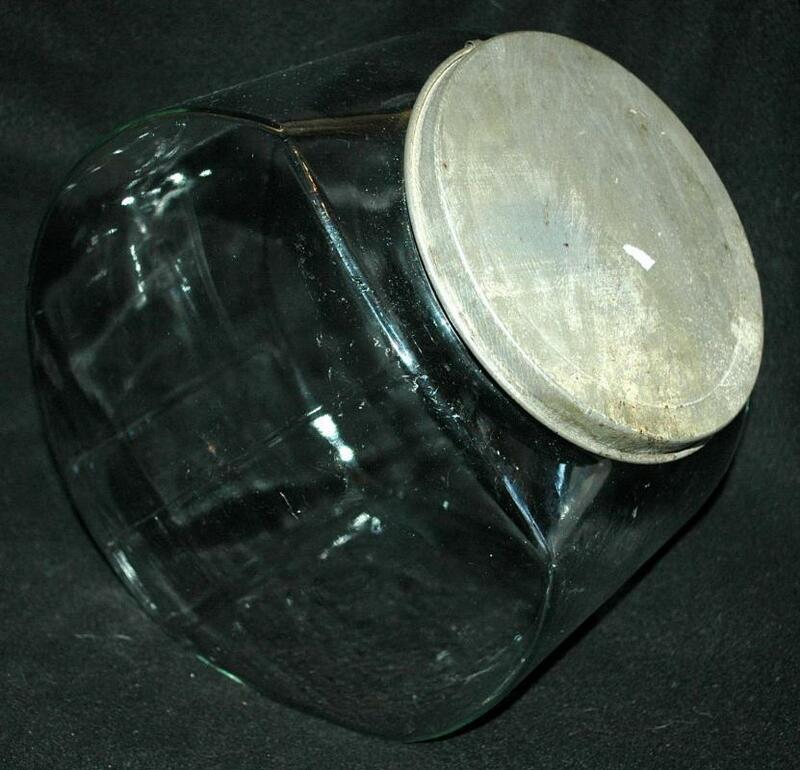 The large glass jar stands on a tilt for easy hand access and measures 9 3/4" high, 6 1/4" wide and 10 1/2" depth. 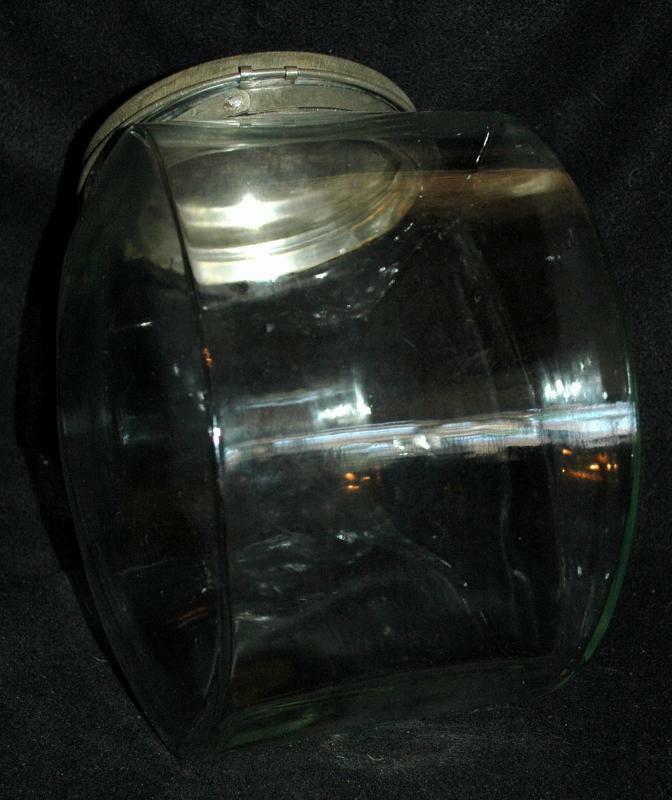 Opening 6" diameter. 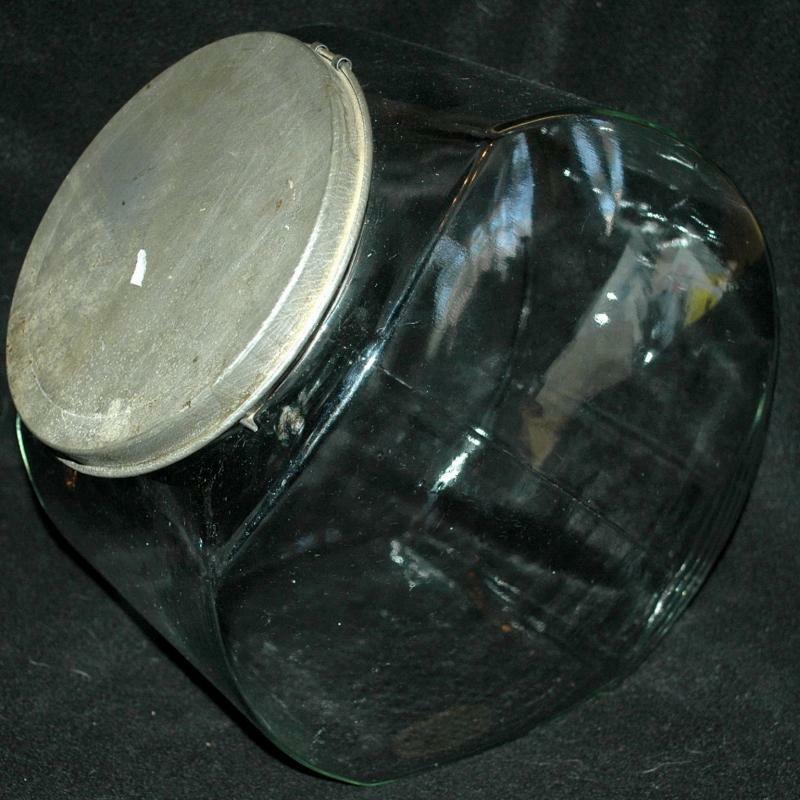 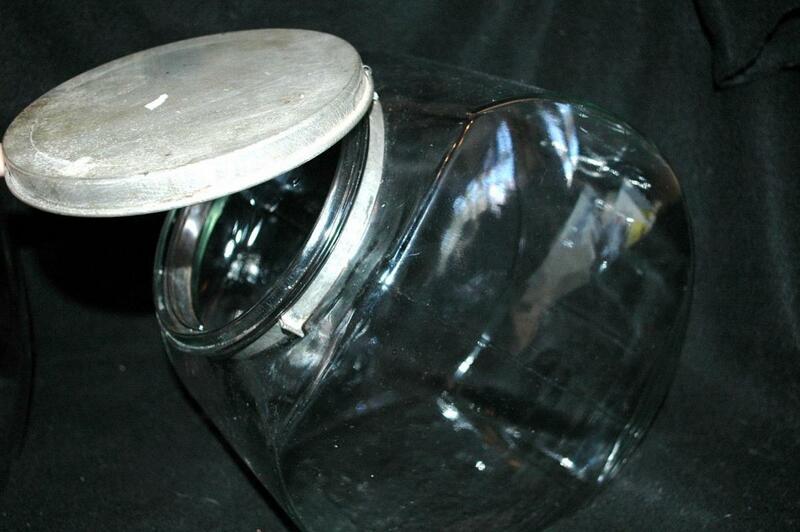 Often these jars held penny candies for hands to dip into. 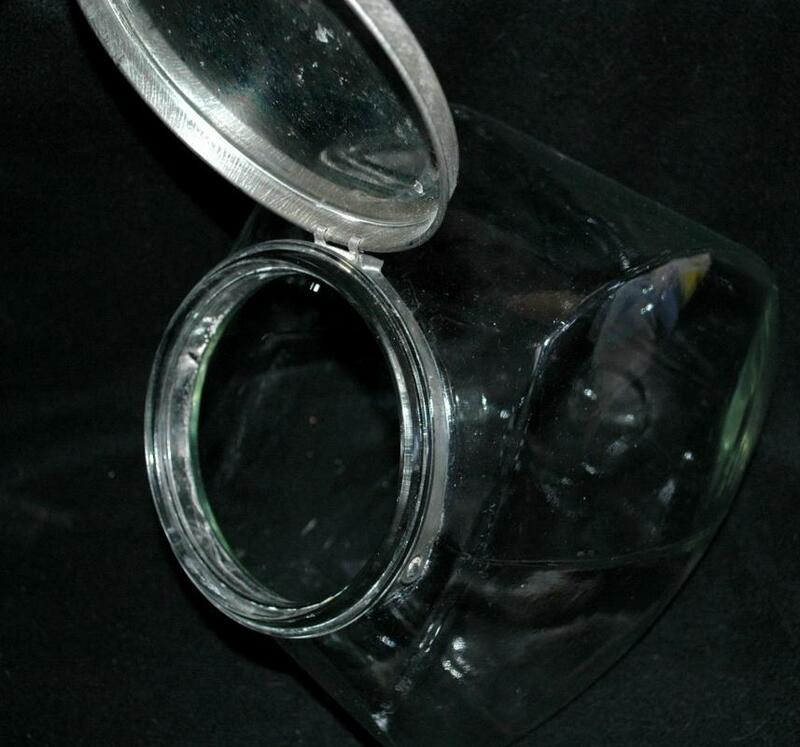 It has the Anchor Hocking logo embossed on the bottom.